For every type of kid, it seems there’s a designer who’s tuned in to that kid’s style, dreaming up collections that are just right. Boys and girls who love muddy puddles, catching frogs and rolling down hills do it best in colourful stretchy leggings or overalls. 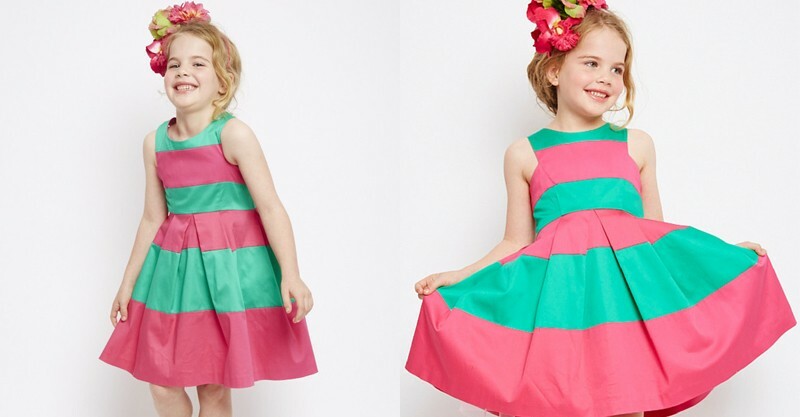 Girls who like having tea parties, twirling in big skirts and maybe still catching the odd frog are destined to wear Australian designer Aunty Em. Aunty Em is a slightly retro, majorly stylish line of girls’ party clothing. The pieces are designed and made in Australia, each one constructed with care from high quality materials. The fabrics are lovely cotton voile, poplin and jersey which make for divinely soft, breathable and long-lasting pieces. Designs are full of energy and joy, making dressing up a delight. 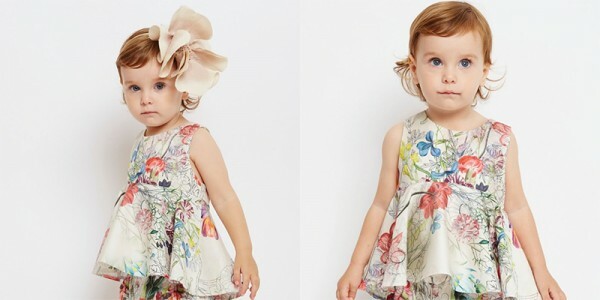 Take for example the Mia Dress ($129), a lightweight cotton voile dress in a bold floral print. It’s got a full tulle, removable underskirt that looks best when the wearer is spinning around and around. The Evie Dress ($129) in white and navy striped poplin is a bit more traditional in print, but it’s still got a wonderfully full skirt. In my book, traditional isn’t as much fun as a super ruffly, empire waist peplum top and the Addie Top ($59) with its old fashioned, botanical illustration-style tulip print is the perfect specimen. The only tragedy is that this doesn’t come in grown-up sizes. Aunty Em does casual clothes just as well as party clothes. 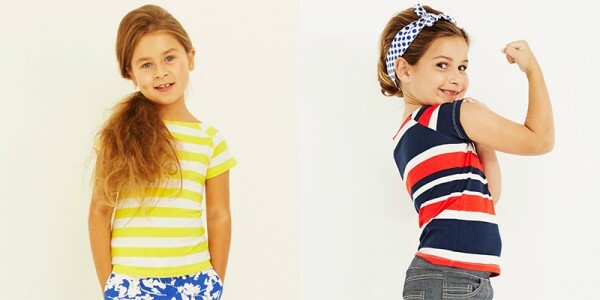 Brightly striped cotton tees go well with cropped jeans or shorts, and the harem jumpsuits are to-die-for adorable. Aunty Em is available online, and shipping for orders over $50 is free.